Instead, Inbox was meant to provide Google with an active platform that would allow them to test new features in real-time. Things that started out in the app like Smart Reply and viewing attachments right within the main screen have been added to Gmail, many coming in the last big redesign. The app presented features not found in the Gmail experience and earned itself some faithful users as a result. After four years of service, many - although not all - of Inbox's features have been incorporated into Gmail, and Google now feels it is time to concentrate on a single email tool. Back then, many assumed that Google would move all Gmail users to Google Inbox. As a result, we're planning to focus exclusively on Gmail and say goodbye to Inbox by Gmail at the end of March 2019. Google launched Inbox in 2014 as an alternative to the company's popular Gmail web service. This included better sorting for email, as well as the ability to snooze emails to come back to your inbox tomorrow, next week or even a few months from now. 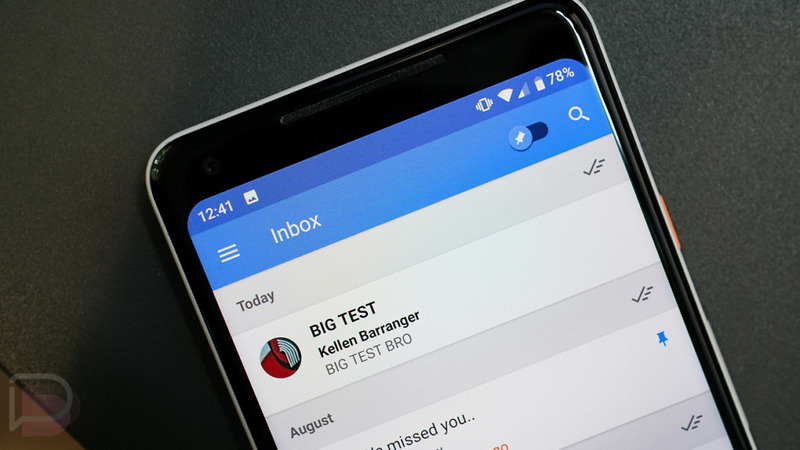 Numerous features we know and love from Inbox were brought into Gmail proper when they launched a much needed re-design back in April this year. Fortunately, because Inbox requires a Gmail account to use, all the messages in their Inbox account are also still on Gmail. While the exact date was not mentioned by the company, Google did release a Support Guide so that users of Inbox can make the transition to Gmail. Let us know in the comment section below.